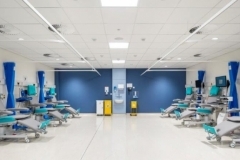 The refurbishment and fit out included the phased re-organisation of four acute ward units within the live hospital building. 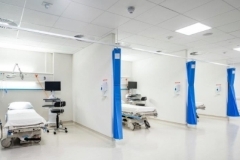 The works included the demolition and new internal fit out of existing elements of Beacon Hospital, to provide new Oncology, Urology, Endoscopy & Day Unit, including the relocation of the Urology Unit within the existing hospital campus. 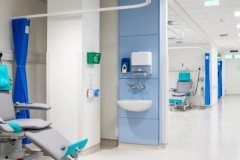 The project was completed to a very high level to complement the existing hospital surroundings and to reflect the Beacon’s quality brand.